Colorado has a labor crunch, and it is about to get worse. It may be time for state politicians to consider a work requirement for able-bodied adults on Medicaid. At below 3 percent, Colorado's unemployment ranks among the lowest in the country. All indicators show the economy remains white-hot, which makes it even harder for employers to find employees. With tax cuts in place, the national economy added 313,000 jobs in February and put much of the country into a tight labor market. Yes, it is mostly a good problem to have. The dearth of workers has employers flooding the federal government with applications for H-2b visas. They are desperate bring in workers from Mexico to take seasonal jobs in what the Denver Post described as landscaping, construction, hospitality and tourism. The booming economy has created so much demand for seasonal employees the government received requests for 82,000 visas on Jan. 1. That compares with 24,000 on Jan. 1, 2017. Applications subsequent to Jan. 1 drove requests to 144,000 for 33,000 summer visas. The Department of Homeland Security has resorted to a lottery to pick winners and losers. "It is dire," said Brad Ahl, president of Windsor-based Labor Solutions, as quoted in The Post. The visa program requires employers to prove they pay competitive wages and have the means to cover payroll. "We don't know how we will get the workers," said Jake Leman, construction division manager at Singing Hills Landscaping, as quoted by The Post. "If we could bring back the guys we had from last year, we would be able to survive and fulfill all of our contracts." For businesses, it means leaving money on the table as contracts go unfulfilled and customers go unserved for lack of adequate staffing at hotels, resorts and attractions. Consumers will have difficulty hiring firms to conduct work around their homes. At a time like this, Colorado should consider following the lead of former President Bill Clinton. During another era of low unemployment and economic fortune, Clinton signed into law the Personal Responsibility and Work Opportunity Act of 1996. It required able-bodied recipients of federal welfare to undergo training for skilled labor and/or find gainful employment within a limited time frame. In signing the bill, explained a 2016 Washington Post editorial, Clinton converted welfare "from an open-ended benefit to a time-limited one conditioned on work effort . " The Post explained how supporters rightly hailed the program "as the antidote to the previous system's perverse incentives for dependency." "In its first half-decade, welfare reform produced dramatic results, as both caseloads and poverty rates declined rapidly," the Washington Post argued, explaining it had reversed its position since opposing the reforms under previous ownership in 1996. In Colorado, able-bodied adults make up about 45 percent of Medicaid recipients. Lots of them work hard in low-wage jobs that provide no health care plans. They would be unaffected by a law tying Medicaid to employment. Some nondisabled Medicaid recipients see no reason to work when government provides health care, shelter and food. Their numbers may be small, but they do a disservice to the majority of able-bodied Medicaid recipients who work hard and pay taxes. 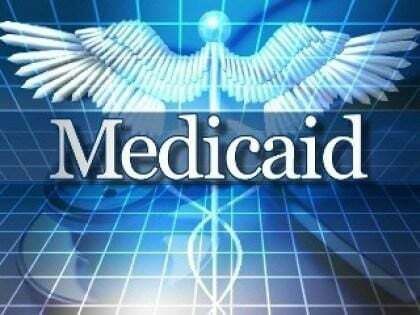 That is why the federal government this year allowed states to apply for a program that attaches work requirements to Medicaid benefits, much like Clinton's reforms tied cash benefits to employment. Colorado politicians have discussed the idea but have not applied. After Wisconsin applied in January, PBS interviewed able-bodied Medicaid recipients who did not like the new requirement. Thomas J. Penister of Milwaukee said he could not imagine taking a job because he suffers from anxiety. He's serious. "Would it be advantageous of me to go into the workforce instead of me therapeutically transitioning to a state where I'm actually ready to perform in the workforce?" he asked. Yes. Lots of taxpayers suffer anxiety while toiling to provide health care for people with ridiculous excuses for refusing to work. Employers in Colorado and elsewhere are begging for immigrants to fill jobs Americans won't do. It is time to seriously consider tying Medicaid to work, for those who are not disabled. Direct them to apply for jobs with employers who applied in futility for visas this year. A policy that improves cash benefits could improve our Medicaid system, the economy, and the futures of people who discover the rewards of hard work.